A. Scott Enterprises, Inc. is an equal opportunity employer with a full complement of staff that brings diverse backgrounds, experience, and education to our team. The following are some guidelines that you can follow if you would like to pursue a career with A. Scott Enterprises, Inc. Minimum education required is a High School diploma with an Associate of Science in Construction Technology or related Civil Engineering. A Bachelor of Science in Engineering/Construction Technology is preferred. To complement your education we look for individuals who combine education with at least 5 years experience in construction (field and office). Additional requirements may include education or work experience with engineering economy, estimating and scheduling, geotechnical engineering, structural design and project management. Good written and verbal communication skills are essential, and experience with business and contract law is very helpful. 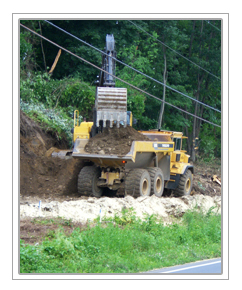 Our foremen provide cost estimates for potential projects and review contract documents. Foremen also are responsible for project management and perform quantity evaluations. Ultimately the key role of our foremen is to coordinate resources to ensure swift and accurate project completion. All staff should be able to read plans and have basic computer and mathematical experience. If you are interested in a career at A. Scott Enterprises, Inc., please contact our office between the hours of 8:00 AM and 5:00 PM weekdays for all current openings at 610-863-6031.